You'll see balloon vendors with heart-shaped balloons, fresh flowers galore for sale on the streets, and chocolates and other sweets selling out at shops and convenience stores. It's Valentine's Day and it's as commercial a holiday in Mexico as in other parts of the world, but it's not only Hallmark that sees the proceeds. Although the roots of Valentine's Day may be in ancient Rome, in Mexico the holiday is celebrated with joy and enthusiasm. February 14th is celebrated in Mexico as El Día de San Valentin, but it's more commonly referred to as El Día del Amor y la Amistad, the "day of love and friendship." 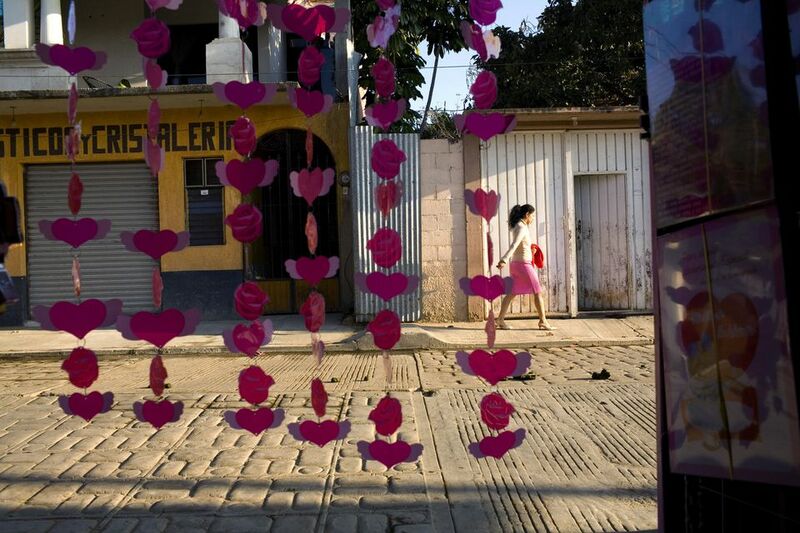 Valentine's Day in Mexico isn't restricted to romantic love, it's also a day to show appreciation for friends. People give flowers, candies, and balloons to their romantic partners, but they may also give cards and gifts to their platonic friends as well. If you want to celebrate your romantic relationship in Mexico, you can get a mariachi to serenade your beloved, get a couples' spa treatment or have a romantic dinner for two while watching the sunset. If you think Spanish is a romantic language, you're absolutely right! If you'd like to tell your special someone how you feel about them in Spanish, you may find it a bit more challenging than just learning the words. Saying I love you in Spanish can be a bit more complicated than in English because there are two different ways to say it. "Te quiero" is said freely among friends and family members but "te amo" is used to denote a stronger feeling. Whisking your loved one off for a romantic getaway for two is the perfect way to ignite sparks (or rekindle them, as the case may be!) in your relationship, There are lots of romantic destinations in Mexico, and whether your idea of romance is spending your days lying in a hammock for two and your nights listening to the pounding of the waves, or you prefer to stroll along cobblestone streets hand in hand and enjoy colorful celebrations, you'll find somewhere in Mexico that will fulfill those romantic dreams. If you won't be in Mexico for Valentine's Day, you can still have a romantic Mexican meal. Try this Mexican Valentine's Day menu. After your meal, if you decide to snuggle up with a movie, to continue with the Mexican theme, consider a movie set in Mexico. Even if you don't have a special romance in your life, you can still celebrate Mexican Valentine's Day, because it's not just for lovers, it's also for friends. It's a time for people to show appreciation to the people they care about. There's no reason to feel left out if you don't have a significant other. Buy some flowers, write a poem or make a gift for one of your friends - let them know you care!